Fidessa provides award-winning trading and investment management solutions to buy-side and sell-side professionals, from global institutions and investment banks to boutique brokers and niche hedge funds. Our product suite is used by 85% of the world’s tier-one equity brokers, while our global trading network connects 6,300 brokers and investment managers and processes more than $26 trillion worth of transactions each year. Now that Fidessa is part of ION, we’re transforming capital markets by harnessing the power of interconnected, real-time data. Through our passion for automation and innovation, we unify our clients’ operations, front-to-back and back-to-front, empowering their business with smart workflow, real-time analytics, and proactive risk management. For more information, visit www.fidessa.com. Serving around 2,000 clients worldwide, we provide consistent, reliable access to the most up-to-date and innovative order routing, connectivity and trading solutions available. Top-tier trading firms, banks, brokers, exchanges and institutional investors rely on our technology, solutions and expertise to streamline their daily operations, connect to their desired markets, and trade when and where they want. All while being able to comply with global regulation. With global offices in 18 locations covering all major financial centres, the merger of Itiviti and ULLINK in March 2018 created a full-service technology and infrastructure provider, covering all asset classes, geographies and regulatory landscapes. 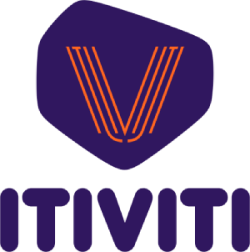 For more information, please visit www.itiviti.com or www.ullink.com .